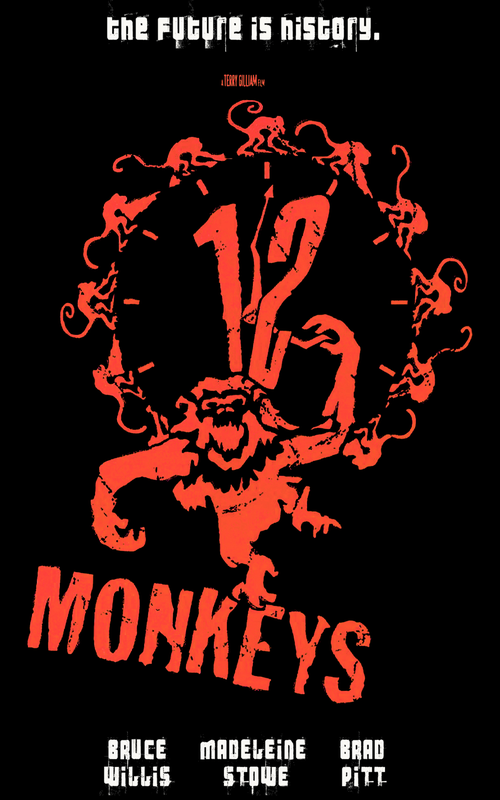 12 Monkeys – Did You See That One? In a future world devastated by disease, James Cole (Willis) is sent back in time to gather information about the man-made virus that almost ended humanity. This 1995 film was inspired by Chris Marker’s 1962 short film, La Jetée. Janet Peoples (The Day After Trinity) and David Webb Peoples (Unforgiven) wrote the screenplay, and Terry Gilliam (Brazil) directed the movie. The film stars Bruce Willis (Moonrise Kingdom), Brad Pitt (Fury), Madeleine Stowe (The Last of the Mohicans), and Christopher Plummer (The New World). This story takes a unique approach to a post-apocalyptic existence. Using a strange world of the future, the story brings us back and forth from weird to normal. The dialogue is entertaining and off the wall, and allows for the tone of the film to be established early. The writing also creates differing versions of the same character, making the story far more unpredictable. The end result is a story that works with Gilliam’s unique voice. It’s not written to answer every question, but it still pays off nicely. 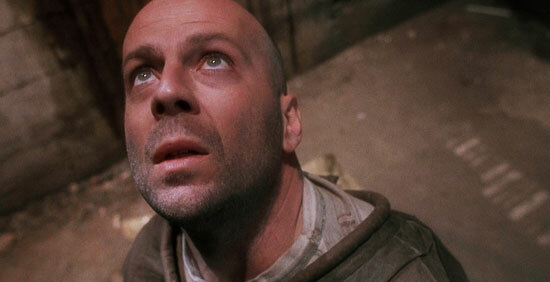 The acting in this features one of the better performances Bruce Willis has given. He brought out all of the paranoia and anxiety that his character required. He’s also able to handle the emotional range of the role perfectly. He’s got great chemistry with his co-stars as well. Some of his best moments come alongside Madeleine Stowe, who put together a good performance in this one. Her role evolves from a pretty straightforward character into something far more complex. She makes the transition perfectly, allowing the changes to come out slowly. 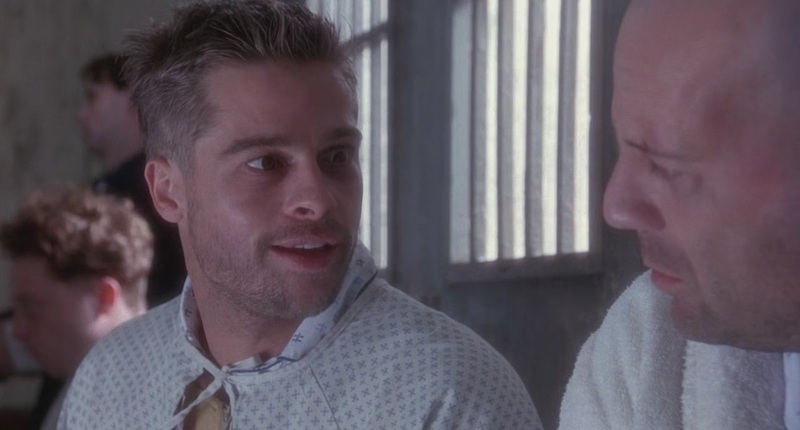 Brad Pitt is another nice addition to this film. He’s got all the energy and skill necessary to play one of the craziest roles of his career. He handles the emotional and physical aspect of the role in a way that makes his character unforgettable. He also delivers some of the best dialogue in the film. All of his work earned him his first Oscar nomination for Best Supporting Actor. Finally, Christopher Plummer brings in a solid performance that complements the whole story. This movie features a number of additional talents that really help bring this unique story to life. 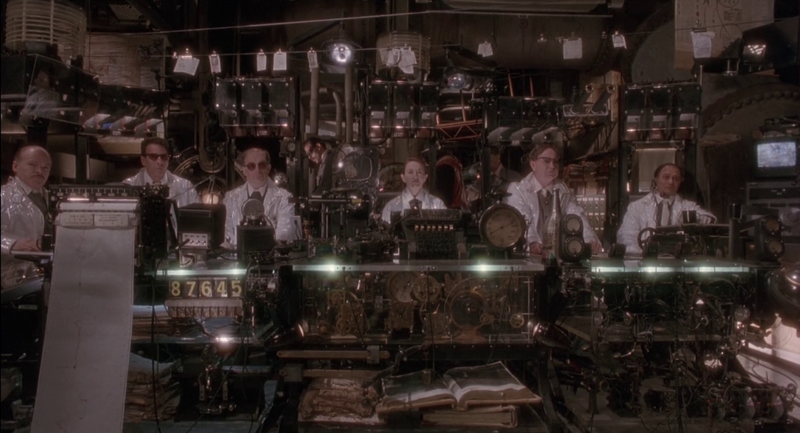 The visuals in this movie are textbook Gilliam. Like Brazil, this movie seems to create a new set of rules to live by. The futuristic setting is strange and uncomfortable, helping to build the post-apocalyptic feel of the movie. The cinematography, done by Roger Pratt (The Fisher King), uses a style that adds to the intensity and confusion of the story. The costuming, set design, and makeup work all help to complete the vision of the strange world within the film. Julie Weiss (Get Low) earned an Oscar nomination for Best Costume Design for her work on this one. This movie features a wonderful yet jumbled plot that only works because the twists and turns are so much fun. The acting helps to make this a far more interesting movie as well. The visuals complete the work necessary to make this a fun movie to see. If you’re a science-fiction fan, this is a must-see movie. I would also suggest this one to fans of the four actors named above. I give this one 4 out of 5 stars. 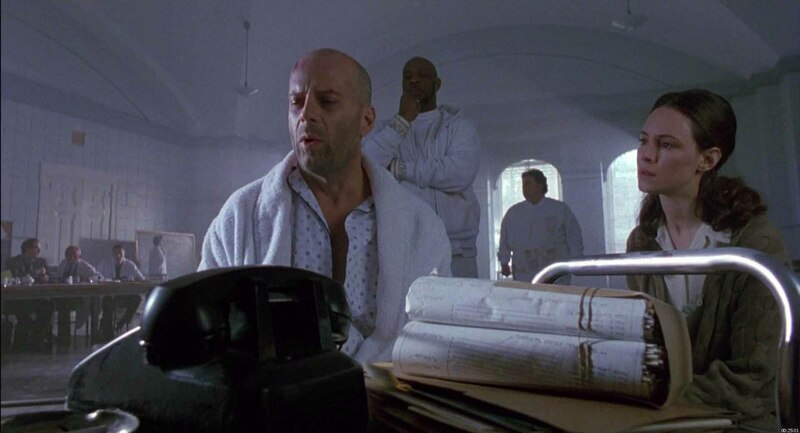 Pingback: Die Hard | Did You See That One?